The world banking cartel is up to its same old nasty tricks! Like Oilcan Harry on Viagra, it would seem. Well, Ellen Brown has written an article ‘Captured by the Debt Spider’ which encompasses many facets concerning past and current financial frauds and corruptions. In fact, I sassily swiped the title of this post from one of her article’s subtitles and was glad to find one of my all-time favorite films, The Wizard of Oz, explained as a turn-of-the-century allegory for the banking cartel’s behind-the-curtain approach to the issuance of money and control of governments at the turn of the 20th century. From spiders’ webs to cats’ paws, it’s on to NY mayor John Hylan who made quite a stir in the 1930s railing against the international banking cartel, the ‘power elite’, as we know them today…the IMF, the Fed, the World Bank, and their ilk. After his mayorship, Hylan became president of the World Monetary Reform League and you’ll find a link to an interesting newspaper article from Feb 17, 1933 if you click the link to my post of August 2006, entitled, ‘Hylan, Bernanke, and the Fed’ @ SO’W. Hylan believed that politicians were merely “cats’ paws” for world bankers and nothing has changed in the New Millennium, imho. You know, US presidents (and others) are assassinated for messing with the world banking cartel’s golden goose…such as Pres. Abraham Lincoln who returned our nation’s money issuance to the colonial system of government during the Civil War which was the Philadelphia model of Ben Franklin, Thomas Jefferson, and other early Americans. As you know, it was a major public political debate in the 1890s – who should issue money? The government as originally intended or private bankers unaccountable to the people? And should money be based on a gold standard or not. The Robber Baron class of the 1890s has the astrological signature of the Great Conjunction/s of Neptune and Pluto – plundering of oil, gas, etc – from their first hook-up on August 2, 1891, #2 on November 5, 1891, and #3 on April 30, 1892 – in the 7 to 9 degree range of Gemini which is interestingly where slow-moving asteroid MIDAS currently hangs out. Synchronicity – or purposeful timing? 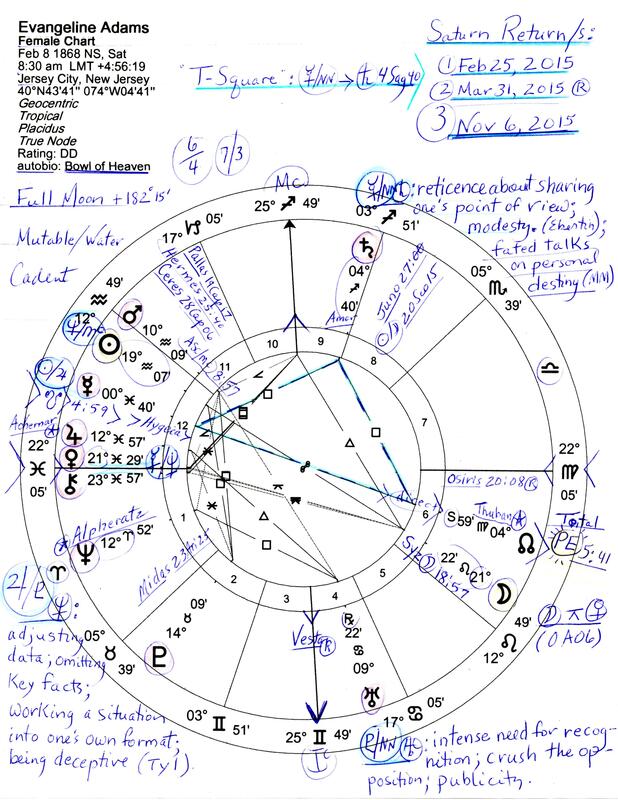 After all, it was old J.P. Morgan who so famously said,”Millionaires don’t use Astrology, billionaires do.” I contend that many world bankers can read Astrology charts, too – or hire them to advise. And you know that old J.P. was a client and student of NY astrologer, Evangeline Adams, a descendant of America’s founding Adams family. Hylan called the banking cartel a “giant octopus” whose ‘tentacles’ reached into most of our institutions…and that was in the 1930s. Well, that certainly could be said in modern times, couldn’t it? Presidential candidate in 1896 and 1900, William Jennings Bryan was the model in Frank Baum’s The Wizard of Oz (published in 1900) for the Cowardly Lion, as Ellen Brown points out. As you remember, the Cowardly Lion proved his courage by decapitating a giant spider that was terrorizing everyone in the forest. And the story’s ‘giant spider’ is said to have been the Morgan-Rockefeller banking cartel, with J.P. Morgan being an agent of powerful British banking interests. Guess Morgan’s fabled rescue of the US economy (twice) had ulterior motives after all…spinning the sticky spider’s web of debt enslavement which has grown so massive (in time for the New Millennium) that it’s collapsing under its own weight. This reminds me of our first Secretary of the Treasury, Alexander Hamilton, who was thought by the Philadelphia faction to have brought the corrupt banking system of England to America, the ‘New World’ of unlimited promise. Turns out, he did. And the pyramid scheme enshrined on Wall Street is in shreds and showing its corruptness so that everyone can see – that the New Economic Order is next on the global menu, a menu designed and printed by the central bankers now throttling the people’s wealth into oblivion.